Our newest listing at 3800 S Cantabria Cir 1076 in Sun Lakes is ready to see! Welcome to 3800 S Cantabria Cir 1075 located in Sun Lakes! This single living home features 1,188 square feet, 2 bedrooms, 2 bathrooms all in a gated golf community. Inside this home, the guest and master bedroom are split from each other, with the guest bedroom having a dedicated full bath for privacy. And, the master ensuite includes dual sinks, walk-in shower, walk-in closet and soaring ceiling throughout. 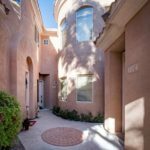 Outside this townhouse, you have a 1 car garage and covered patio to watch those beautiful Arizona sunsets. Just pack your clothes and move into this turn-key home! Most noteworthy, this home is being sold fully furnished with all dishes, linens, tools, appliances, television, etc. As a result, this is a great home to use for your winters away or a vacation home. Certainly, location is everything and 3800 S Cantabria Cir is sure to please. 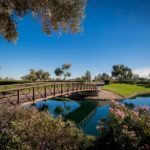 You will be only minutes from the 101 and 202, shopping, restaurant, entertainment and half an hour to the Mesa Gateway Airport or Sky Harbor. For all of these reasons, this is a home that needs to be seen! Not only is the home a must see but living in the community is a must! From 27 holes of golf, Pro Shop, driving range, heated pool/spa to the clubhouse with a bar and restaurant. Contact us here for more information on this home or any other home in the valley you’d like to see or call 480-440-0849.